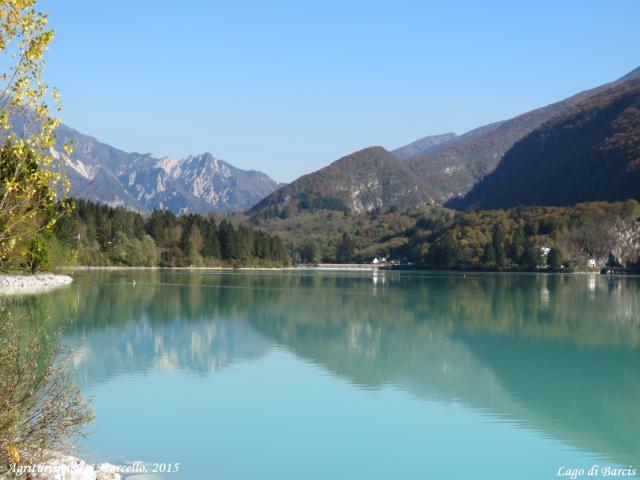 Itinerary that takes you between Veneto and Friuli Venezia Giulia, from Longarone and the Vajont dam, to the small towns of Casso and Erto, to the lake of Barcis, famous for the particular color of its waters. We reach Longarone along the A27 motorway until the end and then following the signs for Longarone. Longarone is also known as the city of ice cream: here there has been the first ice cream fair, and it is home to the International Exhibition of Artisan Gelato, as well as being present several ice cream parlors scattered throughout the country. 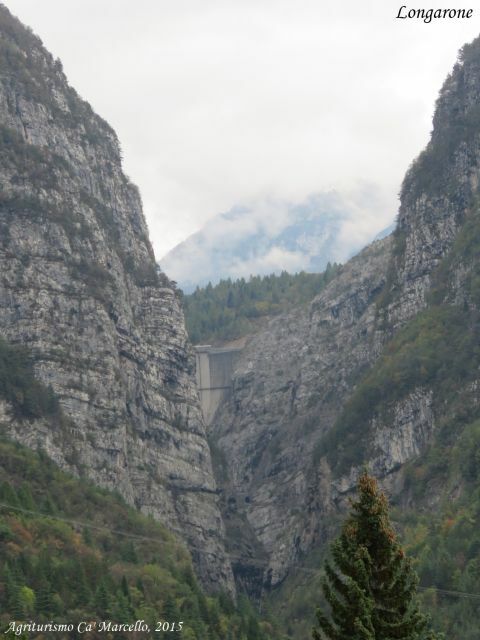 Longarone is sadly known for the disaster of the Vajont dam of October 9, 1963. That evening a landslide broke off from Mount Toc, and the anomalous wave that was created from the dam basin, completely submerged the city, taking away buildings and lives. 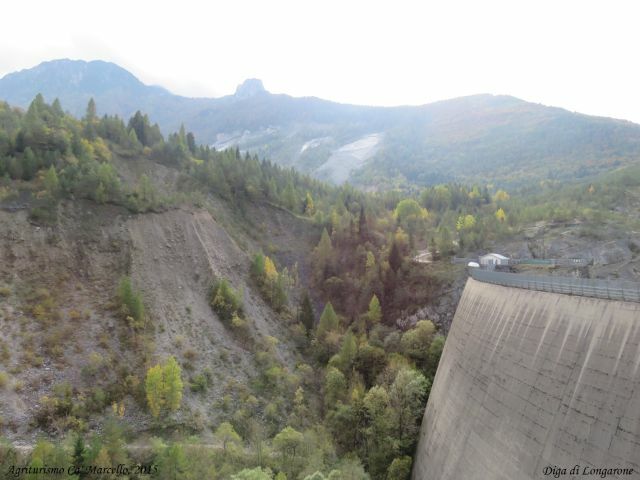 From the panoramic terrace near the Vajont Museum there is a partial view of the dam. After stopping at Longarone we headed towards the dam. During the weekends there are guided tours that leave regularly and you can enter and visit the dam. Thanks to the information panels we discover that we only see 60 meters of the 262 of the dam. And suddenly we understand the extent of the landslide dropped from Mount Toc on October 9, 1963. From the dam you can immediately reach Casso, a small village partly uninhabited. 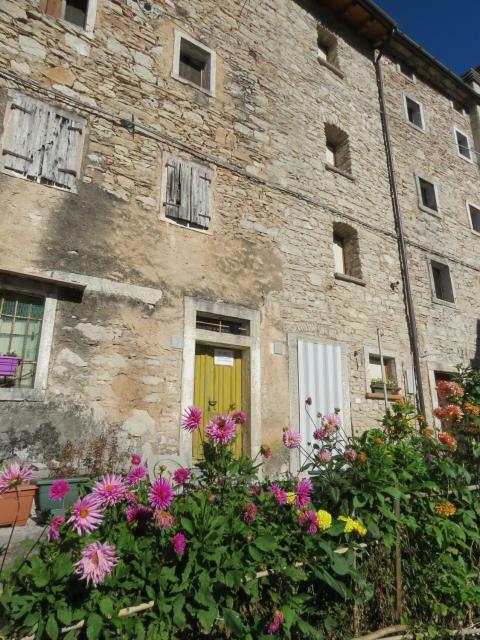 Some houses have been restored by emigrants who come back to Casso from time to time. 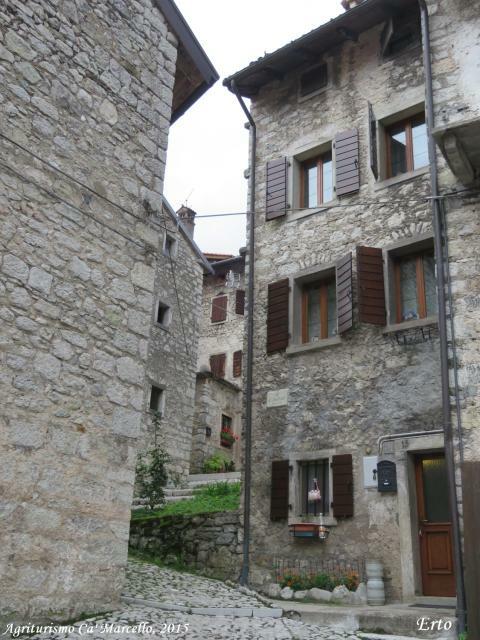 It is worth taking a short break to explore the small streets of the village and admire the view from there. After Casso, we head towards Erto, a few kilometers from there. 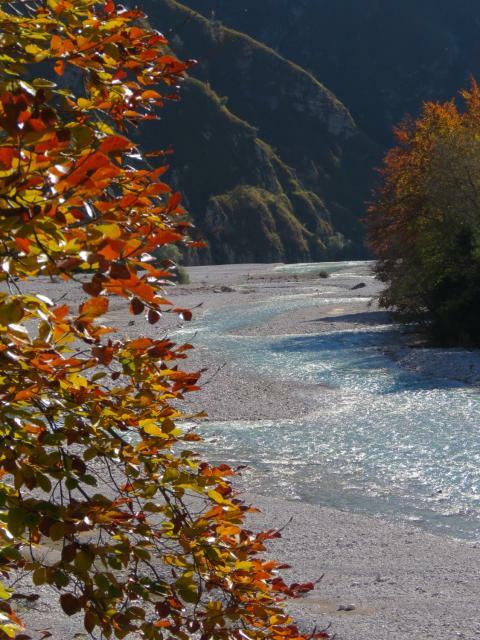 Erto has been significantly affected by the wave of the Vajont, and the contrasto between the old Erto and the new Erto is clear. In the old Erto a part of the buildings have been recovered, and others are getting restored. Il caratteristico campanile di Erto vecchia. From Erto we continue our our taking direction to Barcis. The road is very beautiful and panoramic, and for a long stretch it is along the Cellina stream. 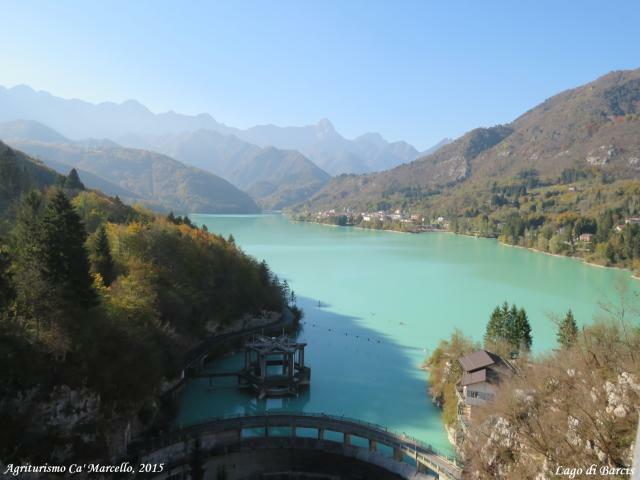 The Cellina torrent dives on the lake of Barcis, an artificial lake born around the 1950s, for the production of electricity. 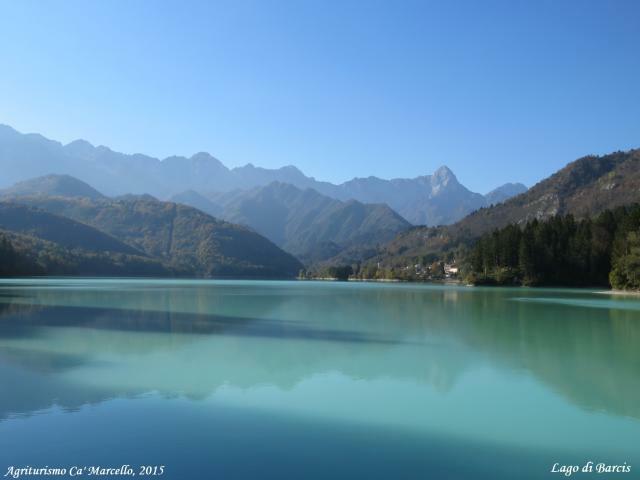 The lake is made famous, as well as for the beautiful position in which it is located, for its particular blue color. We visit the town that has a beautiful lake where you can take a walk. Palazzo Mocenigo-Centi is the most prestigious historical and architectural building in the valley. 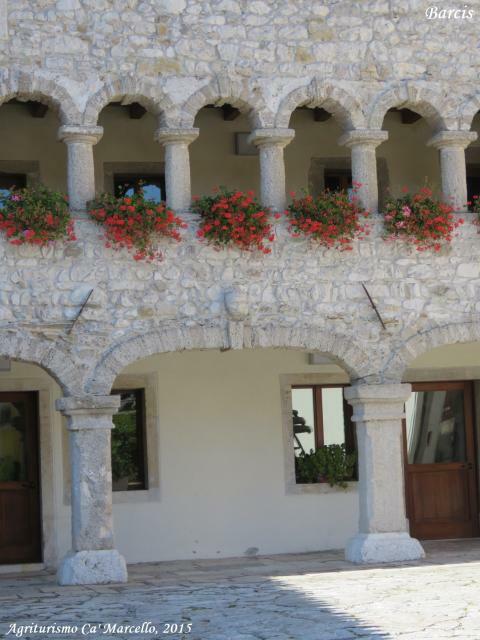 Built entirely in stone, it has a characteristic double-loggia. The building is right along the lake. Walking (or moving by car) you can reach the old Valcellina road, and a splendid panorama opens up before us. A little further on, you can take the path of the Dint, which leads to different panoramic points on the lake and on the Forra del Cellina. 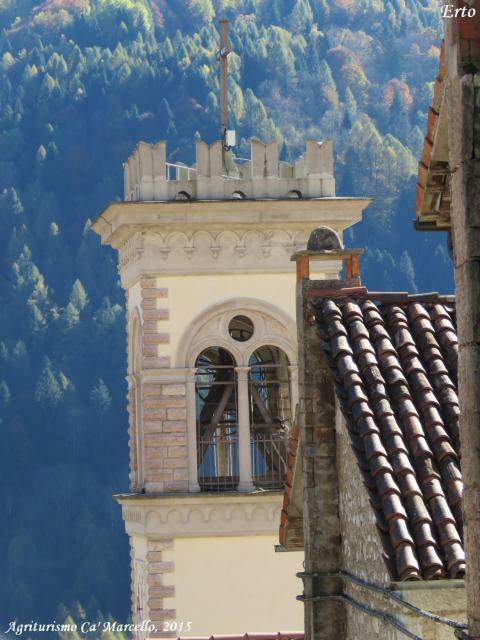 The first two panoramic points can be reached in no time and are not to be missed! After our day out, we go back to Agriturismo Ca’ Marcello returning along the A28 motorway. 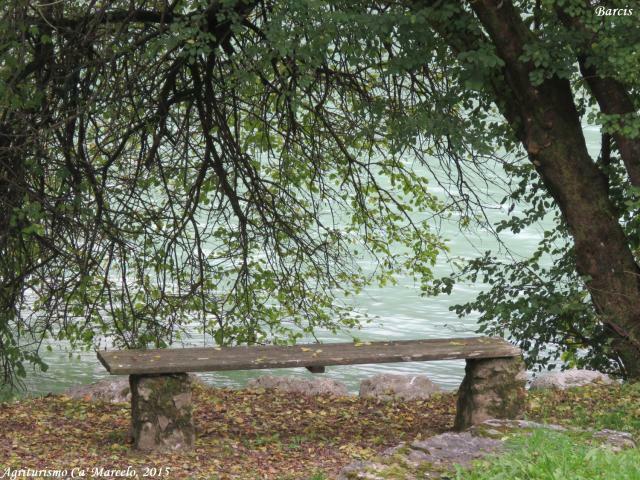 Note: the photos were taken on two different trips during the autumn period. 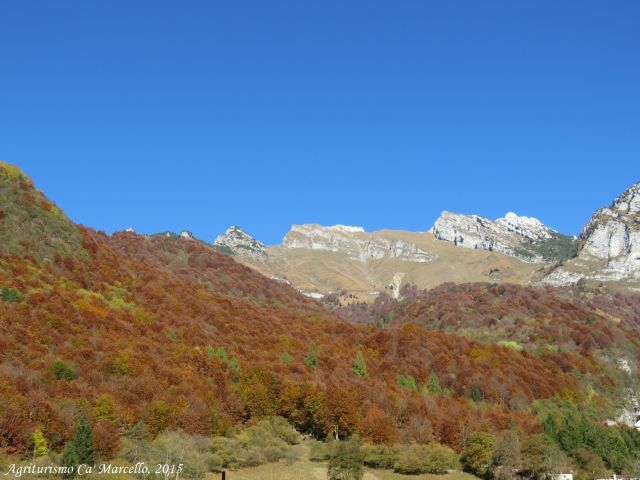 It is undeniable that with the sun these landscapes are fabulous, considering also the beautiful autumn colors.